In this post, I would like to explain the best practices for Java Synchronization. This post belongs to my favorite Java Best Practices Series category. Avoid or Minimize Synchronization - Improper synchronization can also cause a deadlock, which can result in complete loss of service because the system usually has to be shut down and restarted. But performance overhead cost is not a sufficient reason to avoid synchronization completely. Failing to make sure your application is thread-safe in a multithreaded environment can cause data corruption, which can be much worse than losing performance. Let's discuss each Synchronization best practices with an example. Provide a thread-safe wrapper on objects that are not thread-safe. 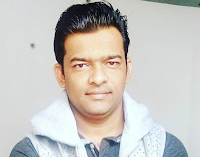 An example is a String and StringBuffer class in Java. The String class is immutable while its companion class StringBuffer is not. This is part of the reason why many Java performance books recommend using StringBuffer instead of string concatenation. Some Java variables and operations are not atomic. If these variables or operations can be used by multiple threads, you must use synchronization to prevent data corruption. (i) Java types long and double are comprised of eight bytes; any access to these fields must be synchronized. (ii) Operations such as ++ and -- must be synchronized because they represent a read and a write, not an atomic operation. If you must use synchronization, you should either avoid deadlock or detect it and break it. Both strategies require code changes. So, neither can be completely effective because some system code uses synchronization and cannot be changed by the application. 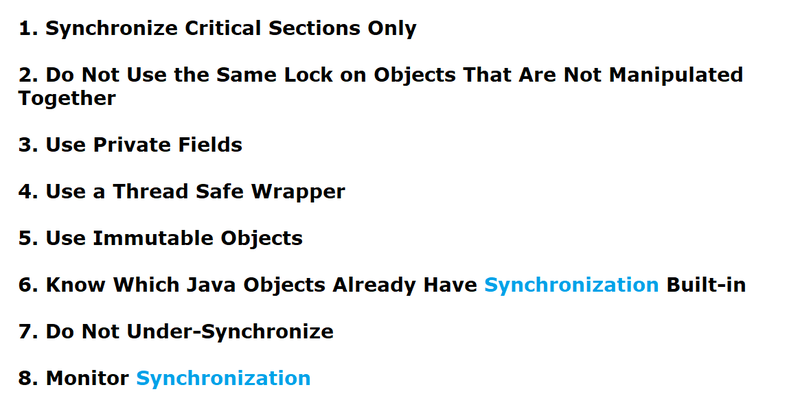 This post explained the best practices of Java Synchronization. Read more Java/J2EE best practices on Java Best Practices Series. Feel free to comment on this post and give us a suggestion or feedback.